"Self-evident" you may say, "it goes without saying"! So why am I saying it? The reason I feel it necessary to say this, is that whilst everybody knows this as a self-evident truth, almost nobody lives their life the way they would if, internally, they really knew it. Have you ever read "Pilgrim's Progress" by John Bunyan? In that book (written in 1678), Christian, the hero of the story, struggles on a long journey with a heavy burden on his back. A bit like a modern day special forces recruit doing what the Royal Marines call a "yomp" - a long march with a fully loaded 100 pound pack on his or her back. There is one big difference though. The special forces need to be able to carry that weight because they will need what is inside the pack. On an exercise it may just be weighted down to increase the challenge, but the reason for that exercise is the soldier needs to be able to carry heavy supplies in a combat situation. But Christian didn't need it at all. I know I am now changing the story a little (apologies to Bunyan! ), but he could simply have put that burden down at any point in his journey. He didn't, and nearly drowned in a swamp as a result. Are you carrying any burdens? I know you are, even if you think you are not. We all are. Maybe what is called "emotional baggage". Maybe a belief that we cannot achieve our dreams, because the last time we tried something like that we failed. We all have the ability and the right to put down our burdens and carry on our journey through life without anything holding us back. We all have the ability and the right, but for most of us it feels as though something is holding us back and we feel we cannot do it. Recognize the burden is there and that you do not need to carry it. You simply have to put it down. Nothing is stopping you - only your false believe that you cannot release it. In accounting there is a concept called "zero-base budgeting". Many organizations (both in business and in public service) base their budgets on whatever was budgeted and spent the previous year. This may be a way to produce a budget quickly and easily, but it certainly does not produce the best result. In many cases it prevents that organization from moving forward and achieving what it needs to achieve this year. More forward-thinking organizations use zero-base budgeting. Forget what happened last year. Just look at what you want to achieve this year, work out what it will cost to achieve it, and if it seems to produce the result you want (e.g. it is profitable enough), then budget for those required costs. Maybe there are costs in that budget you have never had before. That doesn't matter. Maybe last year you spent a lot of money on something you are not budgeting for at all this year. That doesn't matter either. All that is important is that you are budgeting the true costs of achieving what you need to achieve this year. Really forward thinking organizations go further than just zero-base budgeting. They apply the zero-base concept to everything they do, not just to the costs of a project. They look at what they want to achieve, what resources they have to achieve it, and what they need to do now with those resources to get there. Never mind if this means they are completely changing the way they do things. Have you ever heard the story about the housewife who always cut the ends off a piece of meat before she roasted it? One day her husband asked her why she did this, and her answer was that she had always done it this way. Her husband was an engineer, and always liked to know exactly why things worked the way they did, so he pressed her on this point and asked why she ever started doing it this way. Did it improve the quality of the roast? He asked her to do him a favour and one time roast the joint without cutting off the ends. His wife did what he said, and they found the roast tasted just as good, but without wasting any of the meat at both ends. They were now intrigued. So they visited her mother, who had taught her to cook this way. They asked the mother why she did this, and her answer way "because I have always done it this way - it is the way my mother taught me to do it!" So they visited the grandmother and asked her the same question. And do you know what she said? "I always cut the ends off the joint as my roasting pan is too small for the whole joint to fit in!" Never believe you have to do something simply because you have always done it, or you have to do it in a particular way because you have always done it that way. Things change, and we need to change too rather than stay stuck in a particular rut. We need to put down the baggage we are carrying and check whether we need everything that is there. We need to zero-base our lives. Zero-basing your life and putting down your unnecessary burdens should be quite simple. And really, it is. But often a big part of the burden is the belief that it is impossible to put it down. Believe in yourself. You really do have the power and the right to start fresh, without that burden. This is something you should do every day. Because every day really is the first day of the rest of your life. You don't have to spend it being miserable, living your life in a way you don't want to live it, doing what others want you to do rather than what YOU want to do. If you are reading this just after I have written it, resolve to "zero-base" your life from 1st January this coming year. A new year, and a new start. But also recognize you can always put down your burdens, and you can always live your life in the way you want to live it from now on, not simply accept that "it has always been this way". heard this story some years ago but it was refreshing to hear again. starting 2017 by laying down my burdens. Thanks for the reminder. 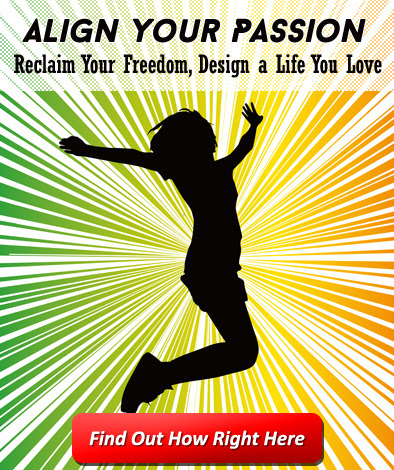 Want to achieve your goals, get motivated, be more successful? 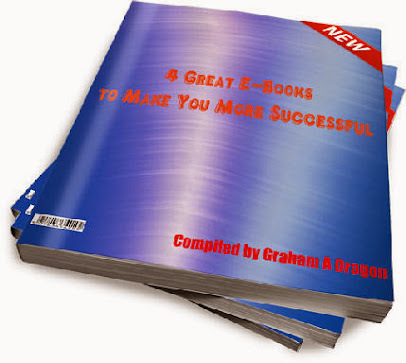 Get 4 Completely Free E-books Now! 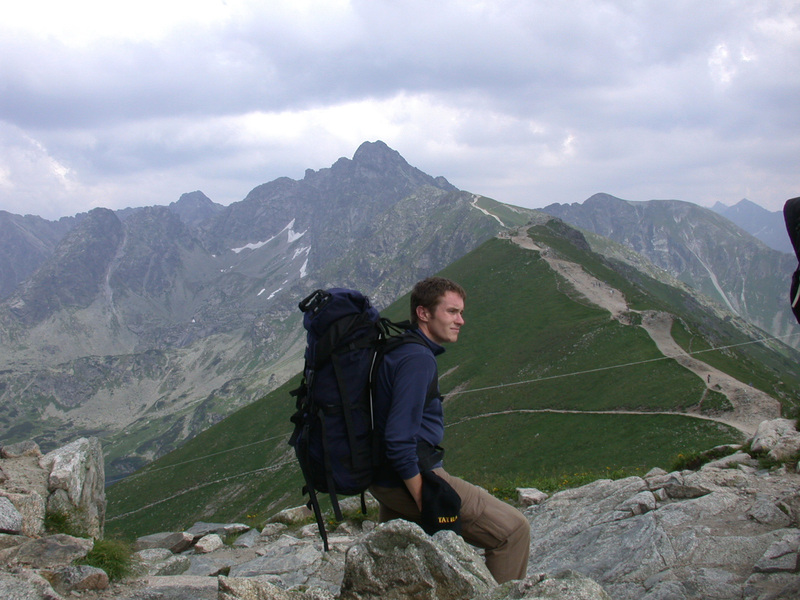 This blog is run by Graham Dragon of Arcoh, a specialist in personal development. If you would like to keep in touch and are not already receiving regular e-mails from me, please add your name and e-mail address in the boxes at the top right of the blog. As a thank you I will then send you four free e-books on personal development topics. Most of the articles are written by me, but some are contributed by guest bloggers. Where a guest has written the article their name is clearly indicated. © I reserve full copyright on everything published in my blog. If you wish to use anything I may grant you permission, depending on the context, unless it is written by a guest who does not wish you to copy, but please contact me first to let me know how you intend to use it and to receive instructions on the associated conditions. Please be aware that if you decide to purchase something after clicking on one of the links on this blog, or as a result of an e-mail I send, the supplier will probably pay me a small commission as a thank you. It is this income which allows me to keep this blog up to date.